This classic text continues to provide you with everything you need to diagnose and treat the full spectrum of disorders. It presents the latest information on the pharmacological treatment of amblyopia, chemodenveration in place of surgery, etc. Cataract is the leading cause of blindness in the world and cataract surgery is the most commonly performed operation worldwide. The authors of the book discuss both the generality of the field and the details of a number of important topics. This comprehensive resource on ocular diseases will provide you with a better and more practical understanding of the science behind eye disease and help you to relate it with treatment. A unique blend of basic science and clinical applications. This book addresses the basic and clinical science of glaucomas, a group of diseases that affect the optic nerve and visual fields and is usually accompanied by increased intraocular pressure. The book incorporates the latest development. 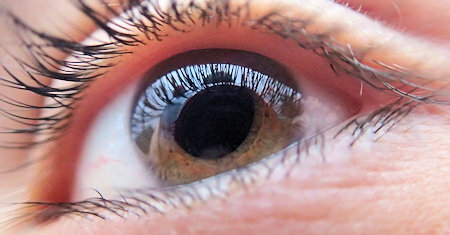 This guideline covers adults (18 and older) with a diagnosis of chronic open angle glaucoma or ocular hypertension and those with chronic open angle glaucoma or ocular hypertension associated with pseudoexfoliation or pigment dispersion. This is an appropriately balanced, straightforward guide to the management of diabetic retinopathy geared toward the general ophthalmologist. It is designed to transfer useful techniques for the clinical management of diabetic patients. This presentation describes the unique anatomy and physiology of the vascular beds that serve the eye. The specialized tissues of the eye and its structural design features give rise to the fascinating physiology of the ocular circulations. The purpose of this book is to stimulate interest on a topic that has been a joy to the author for more than 35 years. This web book will help you to learn about your sense of vision and encourage you to find out more about visual perception. A quick reference on the most commonly encountered ocular diseases that offers readers the authors' perspectives in dealing with these conditions. All perspectives are backed through scrupulous research and reflect evidence based medicine. The text summarizes the recent advances and present understanding of the neural organization of the mammalian retina. The material is presented at the cutting edge of the present knowledge, but in a way that is also accessible to non-expert people.